Pros: Type, draw, add photos, and IM with collaborators and others invited to view the board. Cons: No formal tutorial or detailed in-app instructions. 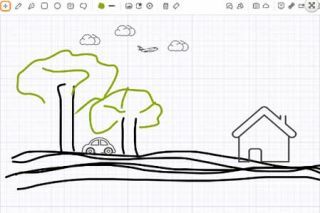 Bottom Line:With so many options for creating and sharing, it's amazing that this whiteboard app is free.